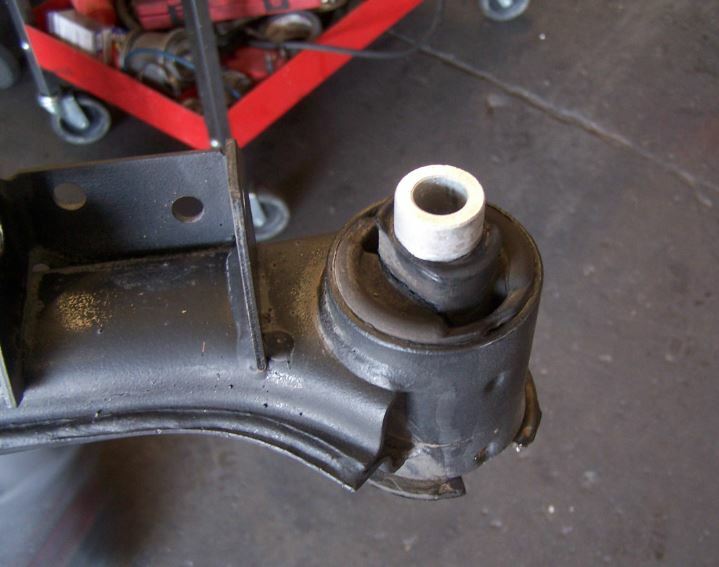 When removing the rear subframe on an E30, there is always a possibility that either of the two old bushings will be oxidized and therefore seized/stuck in the body. The OE subframe bushings are made up of an aluminum sleeve with a thick rubber coating around it. 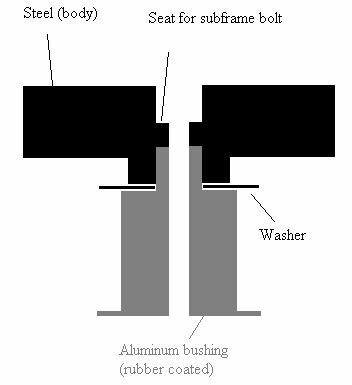 The aluminum sleeve protrudes at the top of the bushing and seats into the body during installation. 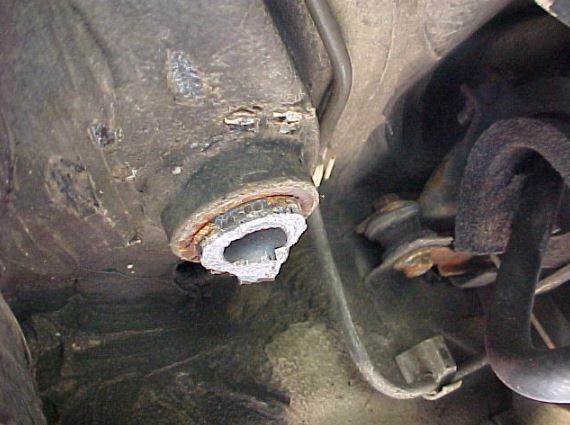 The bushing with the subframe can become stuck, or just the aluminum sleeve if it breaks. 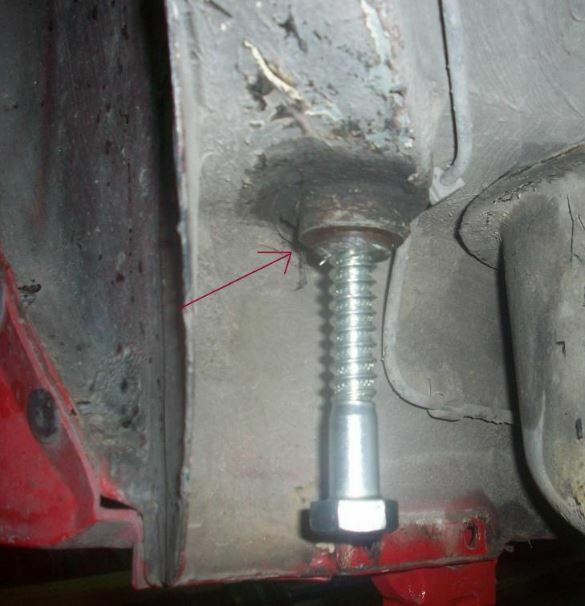 In both cases use a 5/8 bolt and thread it into the bushing. 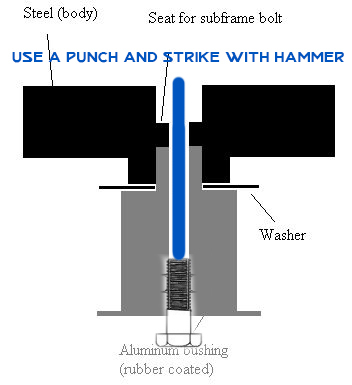 It is best to get an associated tap to tap the hole first, rather then trying to force thread using the bolt itself. 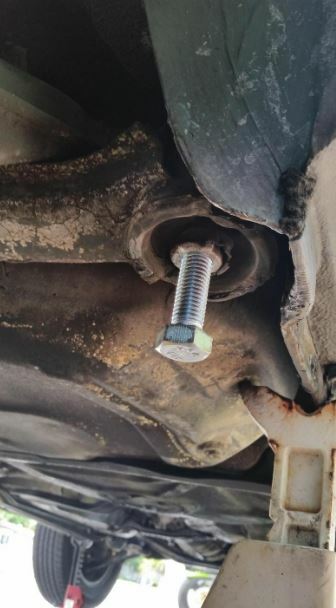 Then using a hammer and punch strike the threaded bolt from the top. For even better results use an airhammer. This entry was posted on August 1, 2018 at 12:41 am and is filed under Do it Yourself. You can follow any responses to this entry through the RSS 2.0 feed.